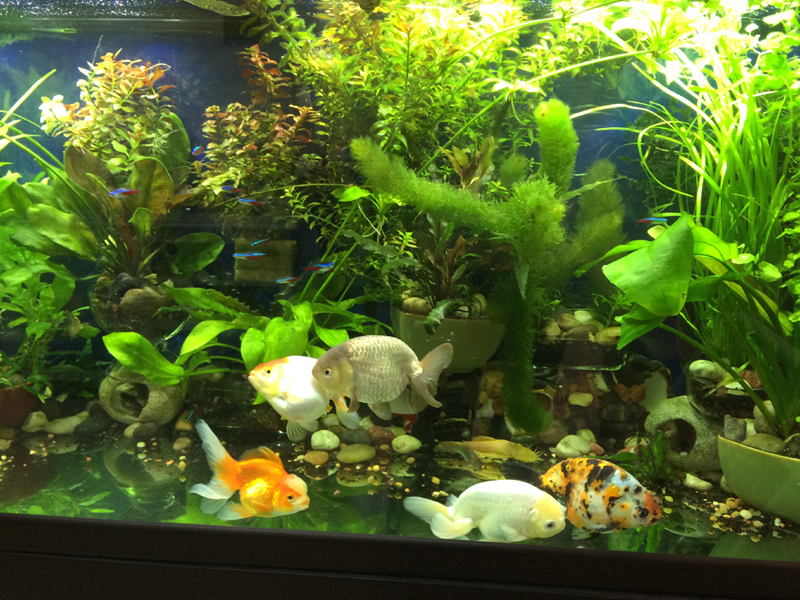 This article is about Lighting for Aquarium Plants. Lighting for plant growth is rather a specialized topic. Most plants need quite bright light to grow properly. Because water absorbs light much more quickly than air does, a deep tank needs a lot of lighting if you want to grow plants. The most common aquarium lighting is the normal output, or standard, fluorescent. Standard fluorescents come in many different spectra. 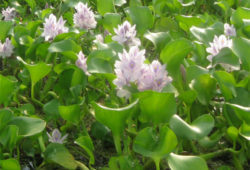 Some are optimized for plant growth, and are sold as plant lights in pet stores and garden shops. These produce less intense light than metal halide, Very High Output (VHO), or T5 fluorescents, but the color spectrum produced is still designed to encourage healthy plant growth. People often use one, two, three, or four of these tubes together to light a tank brilliantly enough to suit the plants they wish to keep. VHO fluorescents and T5 fluorescents are much brighter than standard fluorescents. 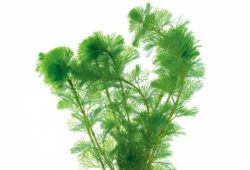 They are most commonly used in reef tanks and planted freshwater aquaria. Metal halide lighting can be used in planted freshwater aquaria, but its main use is lighting reef tanks. It is expensive and the extremely high light levels it produces are not necessary for the vast majority of freshwater planted aquaria. It may well be useful in very deep tanks in which live plants grow. LED lights intended for use as plant lights can be found on the Internet here. Given the efficiency of LEDs, this form of lighting will likely become much more common in the future. As with any new technology, the early versions sometimes have problems. There are certain plants that will do well even in the absence of special plant lights and high light levels. These include Java Fern, Microsorium pteropus, Java moss, Vesicularia dubyana, and Crystalwort, Riccia fluitans, among others. Many plants will grow under standard white fluorescent lighting so long as there is enough light, but you will get better growth under plant lights. Contrary to popular wisdom, a small amount of sunlight over a short period of time may do no harm and significantly improve plant growth. The reason sunlight has a bad reputation is because too much sun will cause a tank to overheat. This can kill both fish and plants. The best plant growth I ever had occurred when I sat my 7 gallon tank near a north-facing window where it got a small amount of sun during the early morning. For artificial lighting the tank had one compact fluorescent light bulb. My main plant problems with that tank was too much green algae, and a water lily that would not grow because I kept digging up the bulb when I cleaned the tank. 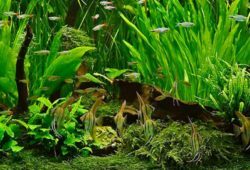 In conclusion, when picking lighting for your planted tank, you need to consider the types of plants you wish to keep and the depth of the tank. Deep aquariums need stronger lighting than shallow ones, and light requirements vary among plant species. At least there are many options for you to choose from.